A beautifully handcrafted contemporary pottery vase made by artists using techniques that are more than 2,000 years old. 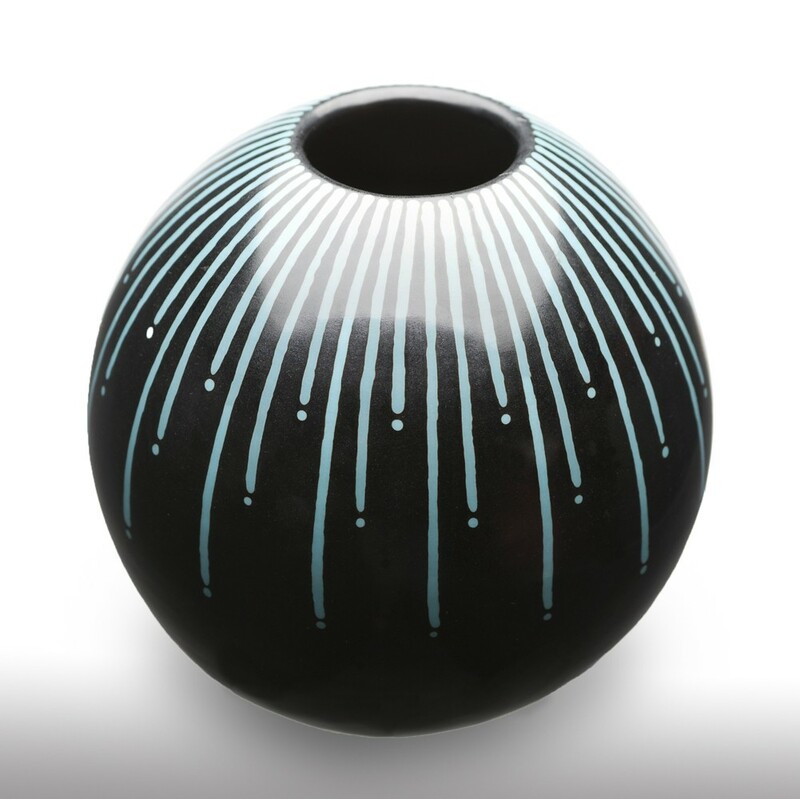 This round vase will be a dramatic accent no matter where it sits. 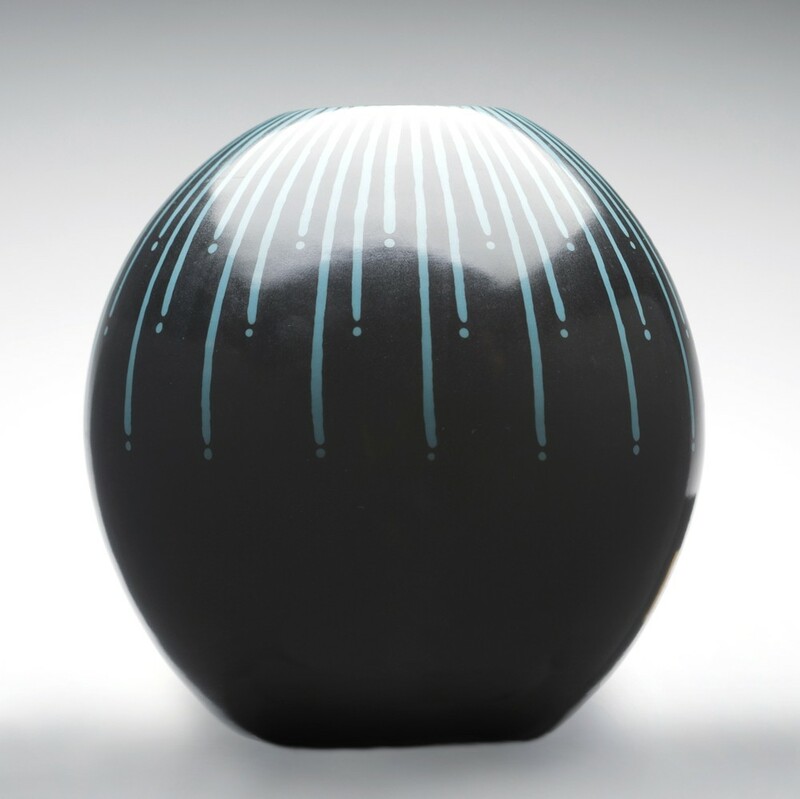 The signature of the artist is found on the bottom of the vase.